That is one powerful looking locomotive! What a difference in the heights of the boxcars. Great photo, thanks. Hey Dan and thanks for stopping by and leaving a comment! 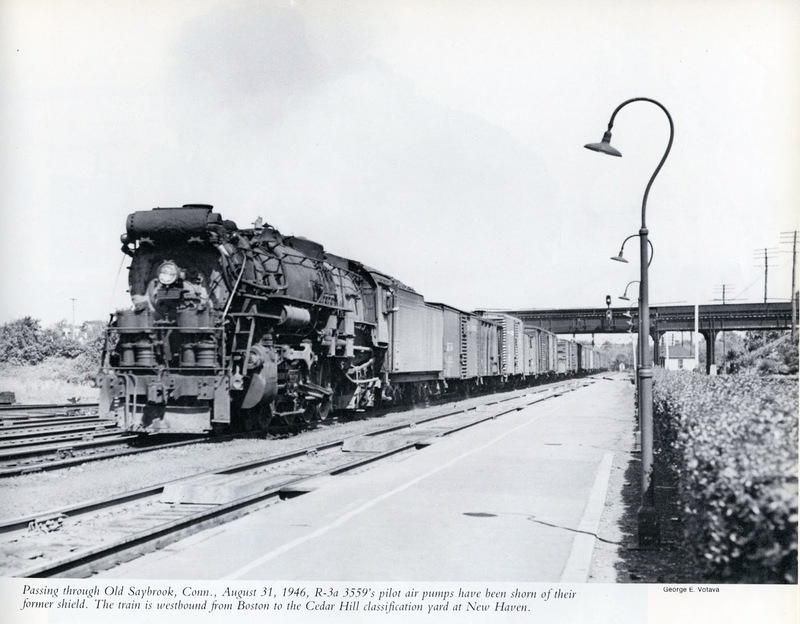 Yeah, those early post-war freight trains sure had interesting "skylines" - LOTS of variety until around 1950 when the PS-1s and other new, all-steel boxcars became so common. That variety is a big part of the reason I model the era I do. Glad you liked the photo and hope you visit the blog again soon!